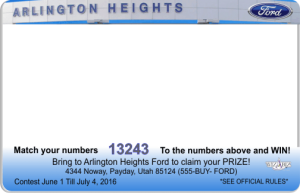 Wizabiz Smart Cards are great for creating a captivating sweepstakes card. 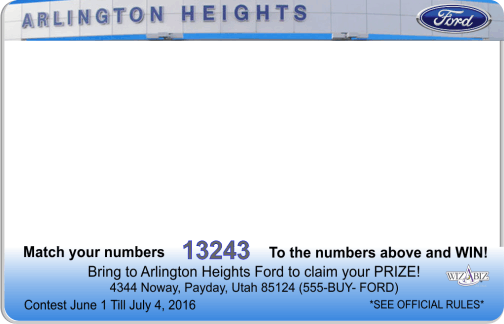 It can also display dealership specials along with winning numbers. The technology allows the ability to change the message remotely as often as desired. The cards are so unique the receiver will share the experience with their friends. Wizabiz Smart Cards have a personalized feel and the winning numbers can be revealed often as wanted. Your card will be designed just for you with logos and originality you want. The last visual will allow the user to contact you or go to your website while they have phone in hand.